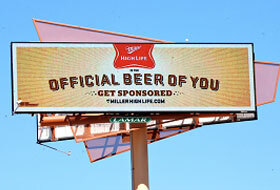 Phoenix-based billboard company American Outdoor Advertising, the largest independently owned outdoor advertising company in the state, has been acquired by the nation's largest outdoor advertising company. Baton Rouge, La.-based Lamar Advertising Co. plans to appeal to local and national advertisers as it expands into the metro Phoenix market. 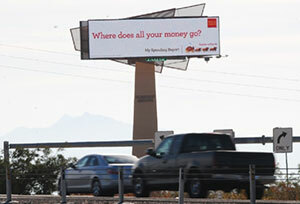 American Outdoor Advertising had billboards along Loop 202 (Red Mountain Freeway), Interstate 10, Loop 101 and several surface streets throughout the state. Representatives of American Outdoor, which was established in 1996, were not available for comment at the time of publication. Terms of the deal were not available. "It is great to be in Phoenix," said Christina Butler, general manager of the company's Bullhead City location, in a news release. "This is a wonderful market for both local and national advertisers. We are so pleased to offer our customers prime locations in this thriving city." Lamar has more than 200 offices in the U.S., Puerto Rico and Canada dedicated to outdoor and transit advertising and 22 additional offices specializing in highway logo signs. The company's new Valley inventory of 157 static and digital billboards includes digital displays around Arizona State University and University of Phoenix stadium. The 30 digital displays will let advertisers post live scores, access social media and stream user-generated content, the company said. Digital billboards remain highly contentious in Phoenix and other communities where residents and activists have tried to prevent advertising companies from erecting them along highways. 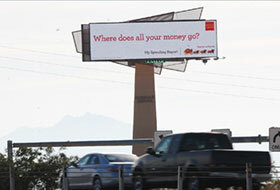 Lamar Advertising, which was founded in 1902, plans to add more digital displays around Phoenix before the end of the year. The original article appeared on The Arizona Republic's website.